No home remodel is the same as the next. One family may lean towards a popular farmhouse style to remodel their kitchen. Another family may want to remodel their living room and entryway with a more contemporary design. Some homeowners are happy just making small changes here and there, while others want a completely new look. No matter the renovation, one common problem reigns. As a homeowner looking to remodel, you have to make a decision. You’ll have to choose whether to value price over quality or quality over price. To some, this may seem like a simple choice. Remodeling is an expensive process. Why wouldn’t you try to save some if you could? But by choosing to save on price, you give up that quality and a whole lot more than you may realize. What will matter more to you, a lower price or a high-quality look? How you choose to answer that will impact your entire project, for better or for worse. Because, believe it or not, that decision can have an impact on how happy you are at home. Will remodeling your home really make a difference for your happiness? In a word, yes! Their most recent report shows that in all regions of the country, two renovations matter most to improving a home’s atmosphere. They are a remodeled kitchen and a remodeled bathroom. These are also two home improvements that have a great resale value. So while you may have to spend a lot on the remodels themselves, they can pay back a lot of that cost when it’s time to sell. Knowing that these remodels are an investment, and are something that homeowners can enjoy until they do sell, helps ease people’s mind about the price. What’s one key element of both of these renovations? New cabinets. When you first step into a bathroom or kitchen, its cabinets are often the first things that catch your eye. They either give the room a positive first impression or a negative one, depending on the quality of those cabinets. But what turns some people away from getting high-end cabinets that give a stunning first impression is their cost. Kitchen remodels can be one of the most expensive renovation projects for homeowners. On average a whole kitchen remodel costs about $22,118. Cabinets are usually the most expensive part of an already expensive kitchen remodel, averaging out to 29% of the project cost, even above new appliances. Your run-of-the-mill cabinets won’t cost so much, but they might not be as good of an investment for your remodel. When you’re looking to remodel and install new cabinets, you have a few options. Some of the biggest competitors when it comes to cabinets are box store, European style and face frame style cabinets. Box store cabinets are the cheapest to buy. They come assembled and ready to install, but are made with the thinnest and lightest materials for a cheaper shipping cost. That sacrifice in materials costs you in more ways than one. Not only will your cabinets wear out sooner, but they will be harder to repair. Since they are built to a standard size, they also may not necessarily fit within the space you have. But you may also miss out on great quality and the perfect fit if you go with European style cabinets. Although the differences between Euro style and face frame cabinets are harder to pick out, there still is a sizeable distance between these two higher-quality cabinets. What exactly are the key differences between these cabinet types? Built with a ¾” melamine box with no face frame, thus it is not sturdy. These cabinets are made with real hardwood of your choosing, such as cherry, oak, walnut, alder and more. The cabinet’s box is banded with wood tape on the front edges, then the doors are hinged to the side of the box. With lots of use, sometimes the hinges will pull out. The hardwood face frame is pocket screwed onto a sturdy ¾” box, for a stronger and longer-lasting cabinet. The hinges for the doors are attached to the hardwood frame. There is no middle style in the face frame, rather the doors meet in the middle. Wood appearance comes from an ironed-on tape resembling a wood finish. Hardwood exteriors give these cabinets a distinct high-quality difference that you notice immediately. In some Euro cabinet designs, there are no backs to the cabinets. The wall that they are built up against acts as the back of the cabinet. There are backs on all the cabinet boxes! The boxes are also made out of ¾” white melamine that make these cabinets easy to wipe out and keep clean. The noticeably different lower quality is especially evident when you open up the cabinets and see their unfinished interior. The drawers are made of Baltic birch, with a finished interior for easy cleaning. The drawers’ slides won’t let you access the back of the drawer. These cabinets use full-extension drawer slides that allow you to get to the back of the drawer easily. You become limited to that cabinet’s specific dimensions, which may not necessarily be a good fit for your room. A custom cabinet maker will come build face frame cabinets specifically to fit within the space you have. Using the cheaper materials make this cabinet less expensive to build, but you won’t always see that reflected in the price. Work with the cabinet contractor to include any additional features you want. Choose which type of hardwood and style of door you want among many other customizable features. In an effort to save on remodeling cost, many people may lean towards box store or Euro style cabinets. They are a simpler, cheaper and more effective solution, right? Not necessarily. Quality, Quality, Quality: This is perhaps the biggest sacrifice you make by choosing cheaper cabinets. As noted above, box store and Euro style cabinets have a noticeably lower quality than their hardwood counterparts. With a face frame cabinet, you can see that high quality all around the cabinet. It’s the kind of quality you look for when you want to remodel your home. Customization: For bakers or cooks who spend hours in their kitchen, having customized features in their kitchen cabinets makes the space more accessible for their needs. That ability to customize cabinets with personalized features is a big advantage to choosing custom cabinets. They can be created to perfectly fit flour or sugar containers, or to store that large stand mixer that takes up too much precious countertop space. You aren’t just limited to work with what you have. Instead, you can build what you want to meet your needs. Craftsmanship: With Callahan Custom Cabinets, our owner, Gary Callahan, comes right to your home to design and construct face frame cabinets himself. With over 35 years of experience, the craftsmanship that you get from Callahan Custom Cabinets is among the best in St George UT. Such cabinet makers provide a higher quality of work and a more perfect fit that’s clear to see. Resale Value: Part of the reason to remodel in the first place is for the value it adds to a home. You don’t want to spend a lot for something that won’t pay you back in the long run. That’s not something box store cabinets or even Euro style cabinets can necessarily provide. But custom face frame cabinets certainly do add to your resale value because of their overall difference in quality. Quality does matters if you want a remodel that makes you happier at home and increases resale value. But beyond that, if you also want customized features, a perfect fit and long-lasting cabinets, face frame is the way to go. Euro cabinets may look appealing to the eye and similar to face frame cabinets at first glance. But when you know what differences to look for, such as the difference in materials used, design and quality, it’s clear that you get more for your money with face frame cabinets. Don’t settle with your home remodel. In an effort to save a little, you may actually be giving up a lot that matters more. Why not choose to build custom face frame cabinets with the best materials now to earn more from them later? Why not enjoy cabinets that perfectly meet your needs? Why not build cabinets that wow? Get the highest quality of cabinets with Callahan Custom Cabinets. 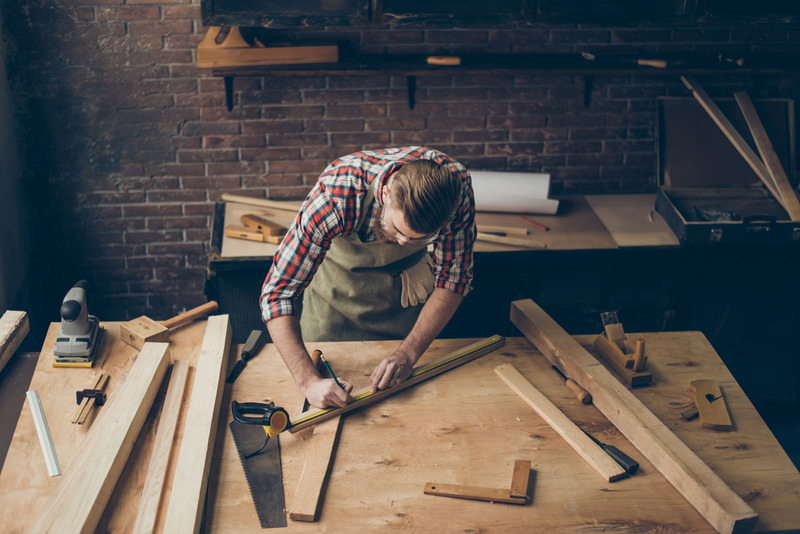 We’ll work one-on-one with you to build cabinets that give you what you want and fit perfectly in the space you have. Stop sacrificing quality when you remodel; work with custom face frame cabinet makers for beautiful, hardwood cabinets that last.